Wine and spirits are sold in local supermarkets but only in state-operated stores (Vinmonopol). These stores are located in the cities and larger towns. Beer is available at most grocery stores, except in a few places. Tromsø for example, set a special sale for beer. Restaurants and cafes must have a license to serve alcoholic beverages. The age limit for purchasing beer and wine is 18 years, for liquor, this set at 20 years. See also Interpretation and Customs rules for import. Restaurant in Norway close pretty early, if you come later than 7 in the evening to us, try to find a restaurant on the road as quickly as possible. It is not allowed to consume your own drinks in our restaurant or on our terrace, it is allowed to drink on the room. We have a wonderful wine selection on our menu and delicious ecological drinks. We have no menu but work with as many local fresh produce from the region, we guarantee that we will surprise you every day. We taking care of allergy’s / vegetarian if you inform us in advance. We do not have an À la carte restaurant but we serve a fixed three-course menu in our restaurant at 7pm. Book at least 1 day in advance. We do not have lunch with us but in the village there is a small snack restaurant and there are plenty of opportunities in Fagernes and Beitostølen. You can always A packed lunch can always meekrijgen fee from us. Our restaurant is open every day except on Thursdays, we can reserve a place for you in the cozy restaurant Hytta in Beitostølen. You will receive a voucher for discount with a 3 course dinner. We have one serving in the restaurant at 7 o’clock, if you come later than 7 try as to find a restaurant on the go. Restaurant in Norway close pretty early find one quickly as possible. If you tell us what diet or allergies you have, we keep it in mind and we make a lovely meal for you. Some species in Europe only can be seen in Scandinavia. Aside from the elk and reindeer are the most alien of them probably the whale and the musk ox. At various places in Norway tours are organized to observe these and other wild animals. From Andenes (Vesterålen) boat trips are made to areas of the sea where sperm whales come to the surface with a weight up to 40 tons. Up close you can see how these colossal animals enjoy themselves around the ship. Of the two or three herds of musk oxen found in Scandinavia, the largest in Dovre home. From Oppdal, Dovre and Kongsvold be short safaris organized ..
Also, safaris are organized in Trysil, but goes about finding moose and beavers and visit ancient caves fees. Furthermore, there are many moose and beaver safaris organized in southern Norway. Under Activities, Dierensafaris, various safaris are described. You may be faced with mosquitoes mainly in freshwater areas, so in lakes and rivers. Along the Norwegian coast and in the fjords is just salt water and you’ll find few mosquitoes. Should you encounter mosquitos, Than you can purchase the best protector from the local shops. At Herangtunet there are not many mosquitoes, you can sit outside on one of our terraces. On the water there are more mosquitoes and in the swampy area in the mountains you could suffer from the mosquitoes. It is allowed to bring dogs and cats to Norway. Your dog or cat will need an EU pet passport. Your pet must have a certificate of vaccination against rabies, which is older than 21 days and less than one year. Identification through a tattoo is no longer valid for the pet traveling since July 2011. Furthermore, dogs, cats or ferrets have been dewormed. This treatment must have occurred before arriving in Norway within 10 days and should be repeated within one week after arrival in Norway. You will need a health certificate for your pet up to 14 days old. You can bring up to five pets. A dog must be older than three months and a cat older than fourteen months. On the embassy website you can find more detailed information about pets in Norway. Do not forget to check whether the land where you are traveling through different requirements. You can pay us in euros in our hotel, but we accept all kind of cards. In Norway we have the Norwegian krone and most shops and hotels do not accept euros. Near the hotel we have short walks where you can walk in these months, hiking in the National Park Jotunheimen is usually possible from the second half of June to September. Do I need a car when I’m at Herangtunet. It is not necessary but a car in Norway gives you the freedom to be anywhere and anytime you want to move. We accept most major credit cards, if you pay with Amex please note that there is a 5% surcharge. With us it is not dark in the months of June & July. Anyone over 16 who want to fish in freshwater or salmon, must obtain a state license every year to buy a local fishing license. The state license is a prerequisite to fish, but gives no right to fish in certain areas. The state license for inland costs NOK 99, – and for salmon fishing NOK 198, – (also valid for fishing in fresh water). The license is valid from April 1 to March 31 and can be purchased at all post offices. It is also possible to buy a weekly ticket, which is 7 days from the date of purchase is valid. This costs NOK 49, – p.p. or NOK 66, – for the whole family, and is only valid for fishing in freshwater and fish for lobster. For salmon fishing should always be purchased one year license. Everyone in the period from January 1 to August 20 free fish in fresh water under 16. For fishing in fresh water must be purchased in addition a local fishing license in many areas. The fishing permit is valid within a certain area and a certain time. The price of a fishing license varies by region, depending on the possibilities and the name of the area. Local fishing licenses are available at sporting goods stores, kiosks, tourist offices or campgrounds. For fishing for salmon, sea trout or salmon trout in salt water must be purchased a license for use of fixed fishing gear (such as wedge-set nets and fishing nets with hooks). Foreign tourists can not contain bottled gas exchange in Norway. A possible solution to this problem is to buy a gas cylinder in Norway (propane bottle of 6 or 11 kg with industry linkage). Price for a bottle of 6 kg: NOK 843, – incl VAT (estimate)..
Price for a bottle of 11 kilos: NOK 944, – incl VAT (estimate).. Sometimes you will also need to purchase an adapter to connect your equipment. The price of such an adapter is approximately NOK 300, -. You can return the gas cylinders again at one of the 850 outlets of AGA. With your purchase you must or proof that the bottle is less than 6 months old. The adapter is not reversed. The Norwegian school holidays last from about June 23 to August 15. The construction industry is in the last three weeks of July. Winter falls in weeks 7 to 10. The restored holiday falling in weeks 40 t / m 42. The Christmas holiday begins on December 22 and ends at 2 to January 3rd. Outside these holiday weeks, prices are generally slightly lower and in the various tourist areas it is less crowded. Your travel agent can advise you on periods apply certain discounts. From Herangtunet is an hour’s drive from Besseggen, Norway’s most beautiful walk. About 220 km, a 3 hour drive. Herangtunet has a private area of 5000 m2 and no neighbors but not far from civilization, there is a supermarket 300 meters away from us. Beitostølen is 20 minutes away and Fagernes 25-minute drive. Heggenes is a 15 min. walk. We have several terraces on Herangtunet three campfire places and a covered terrace. We have a wonderful wood-fired sauna and in the summer with a hot tub. This can be rented for a small fee per half day. You get towels, slippers and thee, water, etc. The suites, Swedish and Icelandic room we have TV with Norwegian and foreign channels. The suites we also have Apple TV with Netflix. Norway follows the GMT + 1 system. In 2001, the summer time on March 25, 2:00 pm and ends on Sunday, October 28th at 3:00 pm. Thus, there is no time difference with Europe. We have wireless Internet anywhere in and around the hotel. National parks are established with the aim to protect the valuable and pristine natural areas. The whole environment of plants, animals, landscape and cultural monuments are protected against pollution, exploitation and other interventions. This means that visitors should be extra careful during their stay in national parks. No large stones may be taken, plants are pulled, bird eggs removed, etc., must not be seen afterwards in Nature that there was someone. Norway counts currently 44 national parks. Norway is a Schengen country, which means that you are officially no longer controlled by the Norwegian border. We advise you to just take along on a trip your valid passport or a valid European identity. You can stay up to 3 months in Norway. Also on the basis of a valid residence permit for the Netherlands, England or Belgium can travel to Norway without a visa. If you plan to stay longer in Norway or to work there, you need to apply for a work and / or residence permit for departure from the Netherlands, Belgium or England. For that you must contact the Norwegian embassy. Also, people with a non-Dutch or Belgian nationality, we recommend contacting the Norwegian embassy. It is forbidden to smoke on board airplanes or other public transport. It is forbidden to smoke in public buildings and other public places, in offices and in the workplace. In hotels, bars and restaurants are all public areas smoke-free. This also applies to the rooms and the tables. To buy cigarettes or tobacco you must be older than 18 years. Norway and the island of Spitsbergen largely consist of vast stretches of untouched natural wilderness. These natural reserves are to be conserved without placing human contrivances like fences and signs. In Norway one is free to roam about – unless signs explicitly state otherwise. 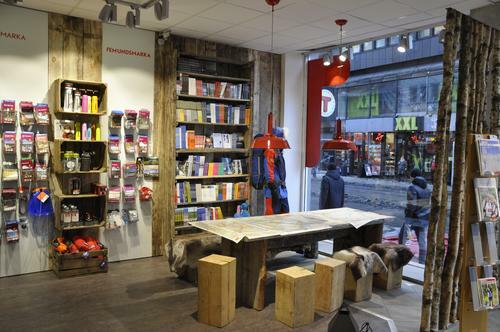 This right of public access – ‘Allemannsretten’ in Norwegian – allows one to freely hike or camp in nature, e.g. at beaches, in the forest, in the mountains and in other uncultivated areas. In cultivated areas, however, one is not allowed to stay there without permission of the landowner. Cultivated areas are mowing fields, pastures, newly planted forests and any other area where human presence could damage or impede the owner or tenant. In any case, any stay in nature needs to be carefully considered, ensuring that no damage is done to either nature or property. Wildlife and other people staying in the same area also need consideration. Between the 15th of April and the 15th of September, lighting fires in the countryside is prohibited. Norway is a country where you can have good and safe travel around and that no excessive conditions prevail with regard to theft. Nevertheless, all travelers will be asked, especially packed cars during the day not to park unattended. We do not have shuttle service but we can at all time, arrange a taxi for you. What activities do you have in the area? What can I import in Norway of beverage, cigarettes and food? What is the best route from the airport Gardemeon to Herangtunet? For a trip to Norway, you need no other clothes than you would normally use in Northern European countries. Think of good walking shoes, warm sweaters and raincoats. In the mountains can be cold, so it is advisable to bring warm underwear. What places of interest do you have in the area? 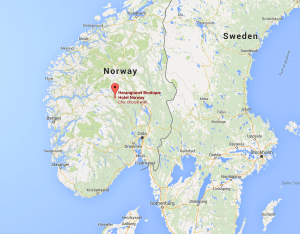 What to do at toll gates, toll roads in Norway? Look at europecars.com for car hire. Where do I have the most chance to see the beautiful colorful Northern Lights? With Clear weather the Northern Lights is also evident in Beitostølen. The Northern Lights or “Aurora Borealis,” as the scientific name is, can be seen most frequently between November and February. Guaranteed is not natural, because the phenomenon is dependent on specific weather conditions. 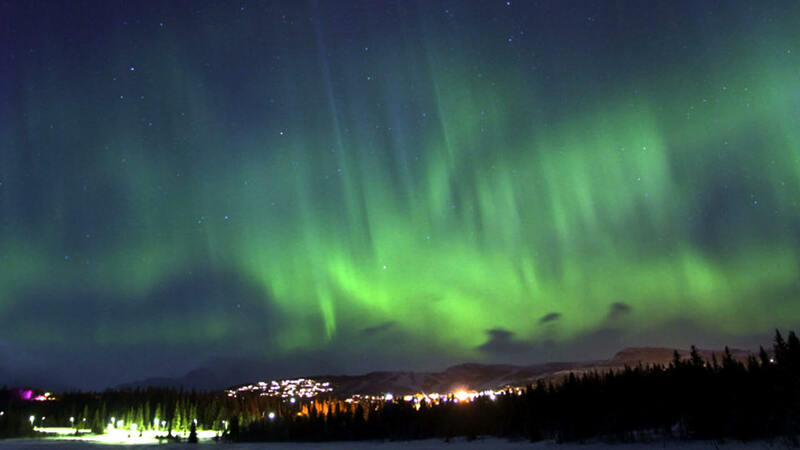 The northern lights are best seen north of the Arctic Circle. The Arctic Circle crosses Norway just south of the city of Bodø. But sometimes the weather conditions are such that the northern lights can be seen in southern Norway. From Lofoten and higher you will most likely also called Aurora Borealis, the Northern Lights. Available at many Norwegian airports and stations, money exchange offices in the evenings and are open on weekends. In addition, you can switch in most hotels money. ATMs are easy to use and come in more and more places. You can also change money in our hotel. The Norwegian krone may fluctuate significantly Be aware of exchange differences. We have a lighted ski run at the hotel, Beitostølen is 20 km and come to the other side is the beautiful Langsua National Park and there are cross-country opportunities in 15 min drive. A four-wheel drive car is fine in winter but not required. You will always be around another car with good winter tires. You do not need snow chains. Winter tires are actually a must in the winter in Norway. The use of winter tires is not compulsory for vehicle combinations under 3.500kg. However, drivers do have a duty to ensure sure their car in winter conditions is fitted with tires that has enough grip on the road. It is advisable therefore to use winter tires in Norway during the winter season. The minimum tread lighter than 3.500kg 3 mm for winter tires on vehicles. The use of winter tires is mandatory for combinations over 3.500kg. The requirement applies from November 15th to March 31st. Winter tires must be fitted in the case of an M + S logo and the minimum tread depth is 5 mm. Beitostølen is 20 km away from us, a 20 minutes drive. We are easily accessible throughout the year, even with extreme winter weather we are easy to reach. In Norway, the roads day and night kept clean of snow. All access roads to Herangtunet are open and not closed. Is it always dark in the winter? Number of daylight hours in Norway Beitostølen: November 8 pm, December 6 pm, January 7 pm, Feb. 9 am, March 12 o’clock, April 14 hours. Norway is a snowy winter destination with unparalleled skiing. Both large and small beginners and experts find their challenge in a varied and attractive offer: alpine skiing, cross country skiing, telemarking to mustache beards! Beitostolen is a traditional mountain village in the ski Beitostølen, one of the most versatile ski resorts in Norway. With 20 kilometers of slopes and low height is a perfect location for a family holiday or novice skier. And with no less than 320 kilometers of trails, the area is called a mecca for cross-country skiers. Also nice to do while skiing in the ski Beitostølen, go skiing at night light. Where can I find information about skiing lessons? In Beitostølen you can rent all your winter equipment. Klik on the map to open Google maps. Norway is a big country and generally on the coast it rains a lot. At Herangtunet is much drier on average, real summers and real winters. Bad weather does not exist except bad clothes, that’s what the Norwegians say. With us it is quite dry compared to the coastal towns in Norway. Most foreigners have a wrong picture of the weather in Norway. It can be much warmer in Norway than one would expect at these northern latitudes. In the first place, for this is the Gulf Stream responsibility, which transports heated sea water to the Norwegian coast. Even in winter the harbors remain ice-free. Temperatures can be as much as 25 ° in summer – 30 ° C, even in northern Norway. The temperature can reach in summer up to 30 degrees, at night it cools down fairly quickly. Average temperatures give a false picture because it is a lot colder at night than during the day. So it can be 24 degrees during the day and temperatures can drop to 7 degrees at night. This is because we are close to the national park at an altitude of 500 meters. There exists in Norway an extensive network of bus connections with local, regional and long-distance services (including international). Generally there is a connection to ferries, trains and airplanes. Rental From Oslo Airport Gardermoen, Rygge, Torp or from Fagernes. International flights arrive at the international airport Gardermoen in Oslo and airports in Sandefjord, Bergen, Stavanger, Trondheim and Kristiansand. From these airports departing domestic flights to various destinations in Norway. From the airport buses depart and taxis and additionally runs a high-speed train from Oslo Gardermoen in 20 minutes to Oslo ((internet: www.flytoget.no)). For further information and reservations, please contact your travel agent or airline. The ferries depart from Germany to Scandinavia (to Oslo and Gothenburg) and from Denmark (in Oslo, Larvik, Kristiansand, Egersund and Bergen). There is no direct ferry from the Netherlands or Belgium to Norway. Stena Line has Ferry crossings from England, Ireland & Scandinavia. Look at colorline, stenaline, fjordline, dfdsseaways for ferries crossings to Norway.